Here's the sad truth: You can't completely remove stretch marks, according to Dr. Jacqueline D. So of Skin. Inc. The only way to reduce those pesky lines on your body is if you undergo expensive fractional laser treatment (which minimizes lines by 80%). And let's face it, not everyone has the budget for that. Bummer, right? 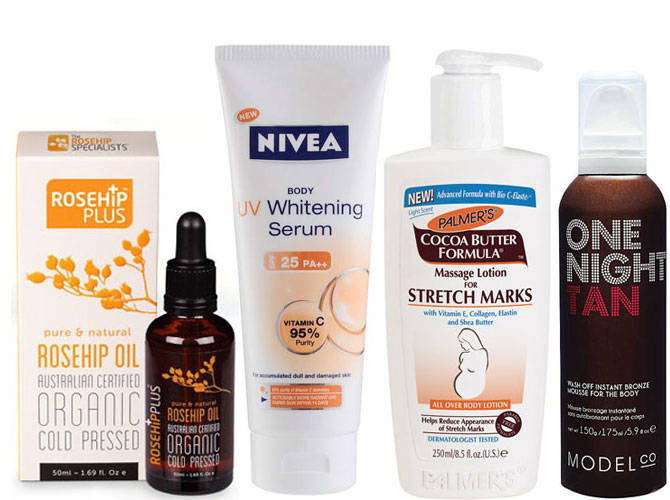 But with the right products, you can cheat your way to flawless looking skin. So view our gallery to find out which topical treatments are great at zapping zebra lines over time—because if you can't erase 'em, you can hide 'em!